Oftentimes, little, painfully annoying welding problems are caused by commonly overlooked culprits. Throughout my career, I have observed frustrated welders that are achieving substandard welds. 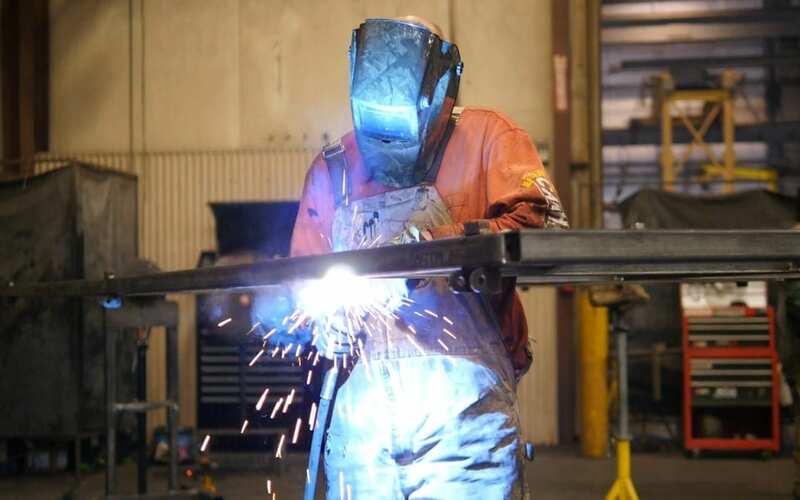 Many of the substandard welds are believed to be a result from a malfunctioning power source, “bad” shielding gas, or a defective electrode consumable. However, the source of the problem is often easily and inexpensively solved once identified. Below are some simple fixes for some very common wire feeding problems. Current is introduced into welding wire through an inexpensive copper contact tip that is considered a “consumable” part. To clarify, consumable means that the contact tip degrades over time and needs to be replaced at some point. If current cannot seamlessly transition into the wire, then wire stubbing and burn back may occur. 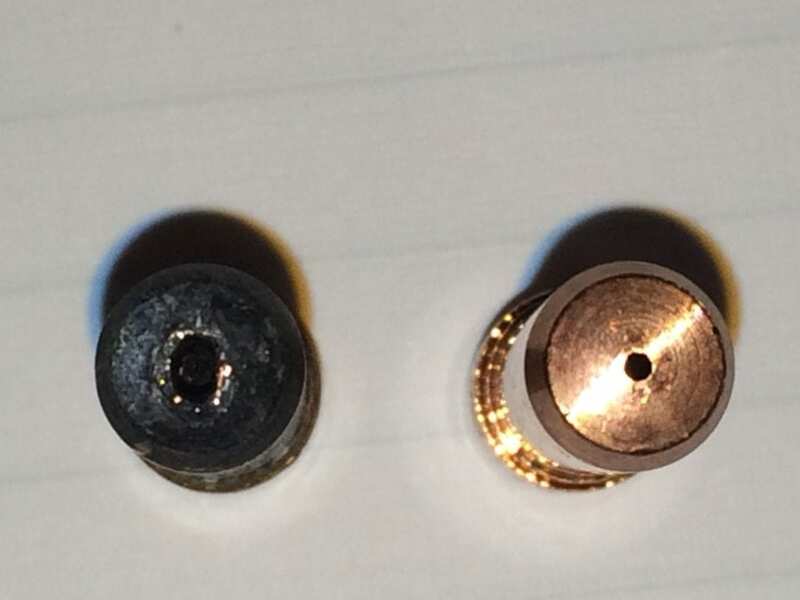 Telltale signs that a contact tip is worn out and needs to be changed include an oval-shaped, instead of round, hole and/or spatter at the edge of the hole. Spatter around the edge of a contact tip impedes the ability of the wire to feed properly. Depending on the amount of arc time a contact tip encounters, it’s good practice to change it routinely. The benefits outweigh the cost. The wire is guided through a MIG gun and cable by a replaceable steel liner. As a result, this liner becomes contaminated with dirt and metal shavings, wire feed resistance will increase. Eventually, the wire will slip and potentially burn back to the contact tip. The wire will also start to bird nest at the drive rolls. Assuming drive roll tension is adequate before the problem occurred, simply increasing drive roll tension is not the answer as a different set of unintended consequences may arise. To test the condition of the liner, disengage the wire from the drive rolls and pull the wire through the MIG gun. When you feel resistance, change the liner. The cost of the liner is marginal compared to the cost of downtime fighting wire feeding problems. For gas shielded wire processes, consumable parts like the contact tip and liner, will invariably accumulate with spatter over time. Therefore, removing spatter regularly from these parts will ensure proper and even gas flow. Spatter accumulation that is not removed will result in impeded gas flow and, ultimately, porosity that is at least unsightly and, at most, unacceptable and costly to remove. When the nozzle and/or gas diffuser have degraded to the point where they cannot reliably direct shielding gas onto the molten weld puddle, replace them. The solid wire should be run through V groove drive rolls and tubular wire must be run through knurled drive rolls. The solid wire that is run through knurled drive rolls (characterized by tiny teeth that promote feeding with minimal tension) will scar the wire resulting in premature contact tip degradation. Consequently, the metal flakes from the degradation will prematurely clog the gun liner. Using V groove drive rolls on a tubular wire will cause the wire to ultimately slip and burn back (if drive roll tension is low) or become crushed and not feed at all (if drive roll tension is high). Aluminum MIG wire should therefore always be paired with U groove drive rolls. A stable arc requires a welding circuit where current flow is not hindered by high electrical resistance areas. Electrical resistance areas cause a voltage drop and, thus, poor arc quality. As a result, these areas get very hot to the touch and are a dead giveaway of where your problem lies. If a ground clamp is not securely fastened to the ground cable, then it will get hot. Be sure to tighten the connection of the ground cable. If either cable is cut or frayed, it will get hot. When this happens, replace the cable. If a connection at the power source terminals is loose, it will get hot. Make the connection tight. If your cables are undersized, in diameter and/or length, for the current/duty cycle you’re asking them to deliver, buy the right size cables. High resistance in the welding circuit should only occur at the arc. If you are having any other common wire feeding problems, please contact us at General Air. For more welding tips, check out our #WeldingWisdom videos on our YouTube Channel.